Having the symptoms of a pinched nerve can be scary, especially since pinched nerves are associated with chronic pain. In many cases, pinched nerves are caused by muscle and joint issues that can be resolved with conservative treatments at River Oaks Chiropractic Clinic in Fort Worth, Texas. 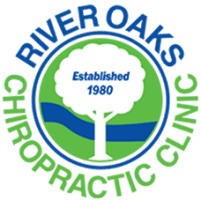 The River Oaks Chiropractic Clinic team provides effective treatment plans and therapies to remove pressure and irritation on pinched nerves so you can get relief. Find out what’s causing your nerve pain by calling the office today. A pinched nerve happens when a nerve that originates near your spine becomes pinched by a bone, ligament, muscle, or intervertebral disc. Nerves can also be pinched by muscles at other parts of your body, such as your shoulders, wrists, hips, and knees. When a nerve is pinched, it prevents the nerve form sending and receiving signals to and from the brain, so you experience a range of related symptoms. What are the signs of a pinched nerve? Symptoms tend to become worse when a pinched nerve is stretched. Movements, like bending your head side to side and touching your toes, can aggravate pinched nerves in your neck and lower back, respectively. Inflammation and swelling around an injury can also cause soft tissues to swell and compress your nerve, causing local pain due to the injury along with nerve pain that can cause symptoms anywhere along the length of the nerve. Treatment for pinched nerves depends on their cause. At River Oaks Chiropractic Clinic, the team focuses on relieving pressure on the nerves and reducing any associated inflammation or swelling in the area that might be aggravating your symptoms. Nerve pain tends to heal more slowly than joint and muscle pain, so the team outlines what to expect during your recovery so you know how many visits you’ll need to get there. Don’t suffer from the pain of a pinched nerve. Call River Oaks Chiropractic Clinic or book an appointment online today.